It's a long list that still doesn't give justice to the life and mahi of Dr Moana Eruera. Over a number of years Moana has demonstrated an unwavering commitment to best quality tikanga based practice. While her work is increasingly known in the international research and indigenous social work community, she keeps it real and grounded. Moana is seen and known in her whānau, hapū, and marae for her commitment to mokopuna safety, sharing mātauranga and being what she talks about. 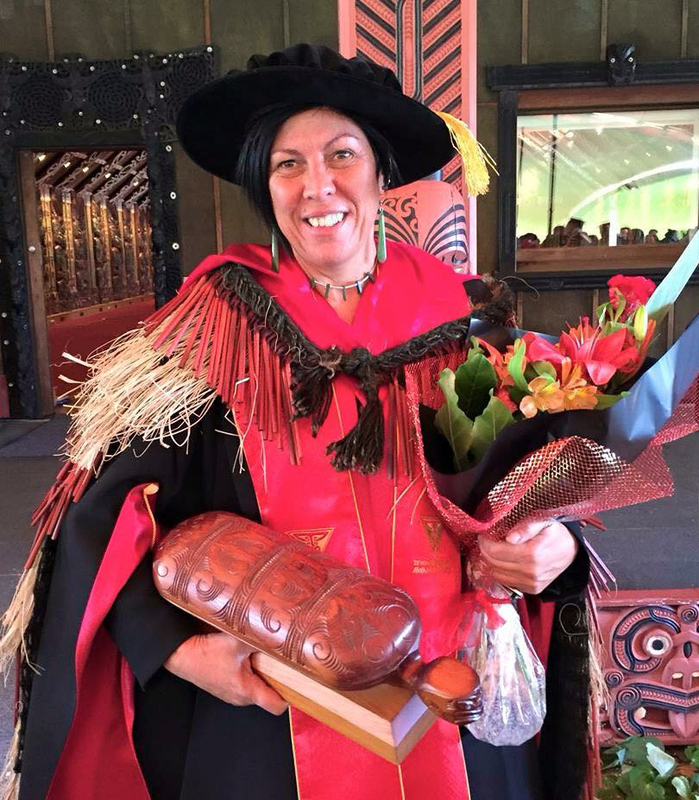 Her innovative research and collaboration with others creates pathways for taiohi voice and experience to be heard and brought to the attention of academics, policy makers, whānau, hapū and iwi. Integrating tikanga, social work practice and academic knowledge - finding co-workers who share the vision - building trust with taiohi - and addressing senstive topics such as intimate partner relationships - takes a special blend of skills. So does articulating and holding fast to kaupapa in a Wellington environment to inform policy, practice and legislation. Two minutes on Dr Google and Moana's many presentations and papers pop up. The messages are consistent - faced with the most challenging of whānau circumstance we turn to tikanga, we act with integrity, we develop models of practice and living to unlock the protective potential of whānau, we drive towards wellbeing and hope.The other consistent feature is Moana's ability to form strong and lasting collaborative relationships, allowing herself to be challenged and challenging others in return so our whānau receive nothing but the best. Mauri ora Moana.